Teach Them Diligently is excited to offer a brand new Homeschool Launch Counselor service in order to provide the best and most reliable information for parents who are just getting started in their homeschooling journey. Participation in this program is FREE for those who are thinking about homeschooling or have just completed their first year of homeschooling, and the information is invaluable! 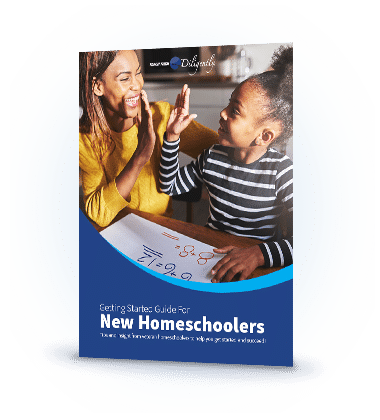 Talk with and learn from veteran homeschool moms and dads who have been successfully homeschooling for years—many of whom have already graduated one or more of their children. Onsite at Teach Them Diligently, you will find Getting Started Workshops beginning at 1 pm on Thursday and continuing throughout the weekend. Be prepared for what the Lord has in store for you both at Teach Them Diligently and in the year ahead. The Focus of all our endeavors here at Teach Them Diligently is directly rooted in our relationship with Jesus Christ and how we use the tools at our disposal to grow in that relationship and to disciple our children to love God and serve Him wholly. Home education is a GREAT tool for doing just that! Through the Homeschool Launch Counselor program, you can get answers to all your pressing practical and academic questions, while also getting great insight about the foundation of why God has called your family to homeschool, how that can look in your family, and what you should be prepared for as a homeschool family. You will have access to incredibly helpful workshops every single hour to give you specific information in the areas that interest you the most. You will be welcome to hang out in the Homeschool Teachers' Lounge to ask your questions and fellowship with veteran moms, bloggers, and speakers who are there specifically to help you and give you advice as you are just starting out. At your choice of Teach Them Diligently events you will have the opportunity to personally connect with experienced homeschool moms and dads and talk through your homeschooling experience face-to-face in the Homeschool Teachers' Lounge. Participating in one of the Teach Them Diligently events will guarantee that you get solid answers to your most pressing questions about homeschooling! And if you register for the event now, and take full advantage of this counseling program at our event you can even get a rebate for the cost of your Teach Them Diligently Registration Fee! Register for Teach Them Diligently Convention! Download our FREE Getting Started Guide for New Homeschoolers. It will provide you with a great starting point; help you to know what kind of questions to ask; offer definitions for different homeschooling approaches; give advice on selecting your curriculum, and provide you with answers, direction, and additional resources to turn to for more. If you are rethinking education, then you’re probably asking lots of tough questions right now. Download this FREE 20-page eBook and find out what homeschooling is really like from a mom who’s actually been there and done that.